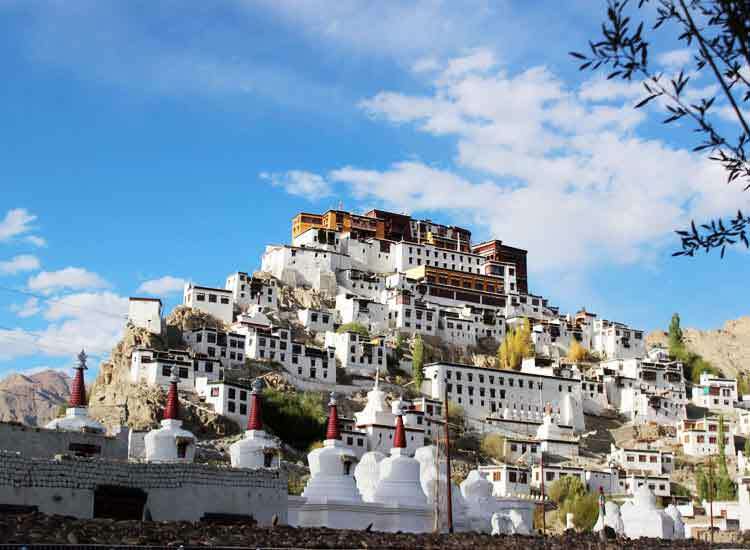 As we all know, Ladakh is popular for its incredible & beautiful monasteries! 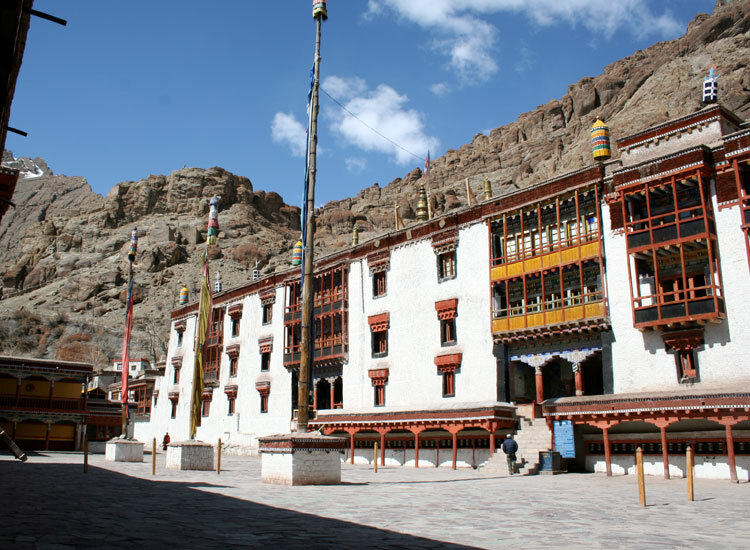 These monasteries tell us about the rich culture of Ladakh through their architecture, ancient texts, paintings etc. Nowadays some of monasteries in Ladakh have also started to offer the facility of stay for tourists. 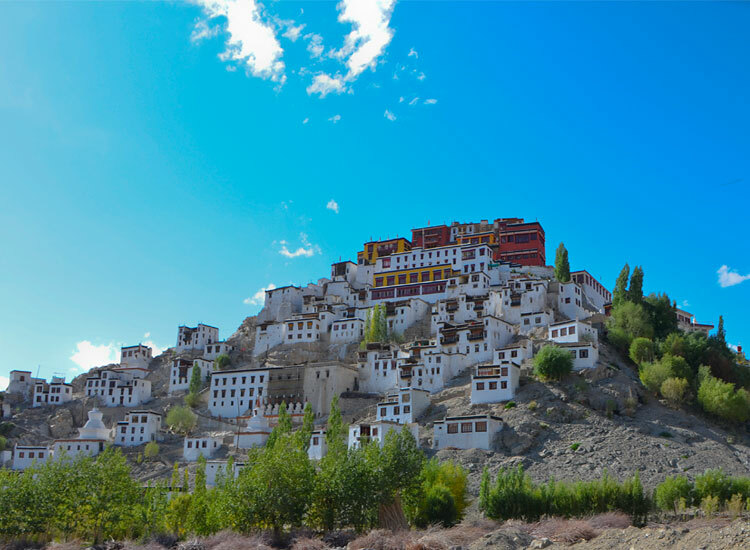 Today, we have listed 5 spectacular monasteries in Ladakh in our blog where you can stay! Go through the list of Monasteries to get complete details. One of the biggest and most famous monastery of Ladakh, Thiksay monastery is known for its wonderful architecture, spectacular views and holy importance but today we are going to reveal something new. Now you can stay inside the Thiksay Monastery. Yes it is true! The monastery welcomes guests with love and care. One can enjoy a blissful stay amid the blissful home of the religious order of Buddhism. The monastery provides rooms with basic amenities where you can stay for limited and can experience culture of Ladakh very closely. Try meditation in the serene and peaceful ambiance of Thiksay. Watch the monks and nuns go about their daily rituals. You can also dig in to learn about the science of Buddhist spirituality in the well-stocked library of Monastery. Lamayuru Gompa is doubtlessly one of the most enchanting monastery outside Ladakh. The area around the Lamayuru Monastery is known as Moonland, as the rock formations in this area looks similar to moon landscapes. There is an amazing serenity surrounding the Lamayuru monastery as it rests in isolation away from the main town. The ambiance is pure and one that makes you believe in the power of prayers. The Lamayuru monastery lies on the way leading to Leh from Kargil. Around 150 monks lives in Lamayuru Gompa. There are some options available for tourist to stay inside the Lamayuru Monastery or in homestays and guesthouses in the village. There is also a wonderful restaurant in Gompa that serve delicious Tibetan fares. Visiting Lamayuru is an experience in itself and for those looking for complete silence and isolation. Hemis Monastery is the biggest and richest monastery in Leh Ladakh. Lying few kilometers away from Leh city, Hemis hides a mesmerizing view of a barren hilltop. The monastery is most famous for its annual festival, Hemis festival which is famous for its colorful dances, vibrant rituals and excellent ambience. The Hemis monastery also provide stay facility for the tourists who want to come and spend an extended time. The spectacular surroundings and scenic locales are truly intoxicating. You would be beyond excited to known this is one of the monasteries in Ladakh where you can also stay with special request. The Hemis monastery is accessed by thousands of tourists every year and the numbers are only increasing with each year. The ethereally divine feeling of attending the morning prayers leaves one truly fascinated and awe-struck. 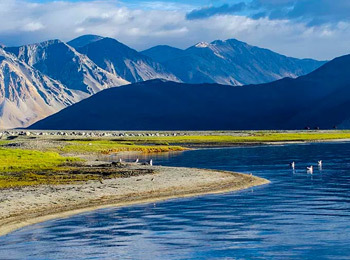 If you are contemplating a visit to Ladakh, then this is the place that you should not miss! Built around a natural cave on verticals of a rugged mountain, Phugtal monastery is extremely isolated. 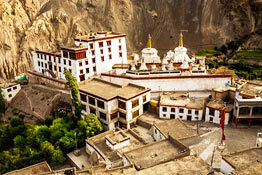 It is one of the most spectacular monasteries in Zanskar Valley in Ladakh. To reach Phugtal is very challenging as one needs to cross the Zanskar Rangdum road. The main monastery is inside a cave in the cliff gorge. The beauty and architecture reflects the ancient Indian art. The ambiance is truly fascinating and visitors do not wish to return. 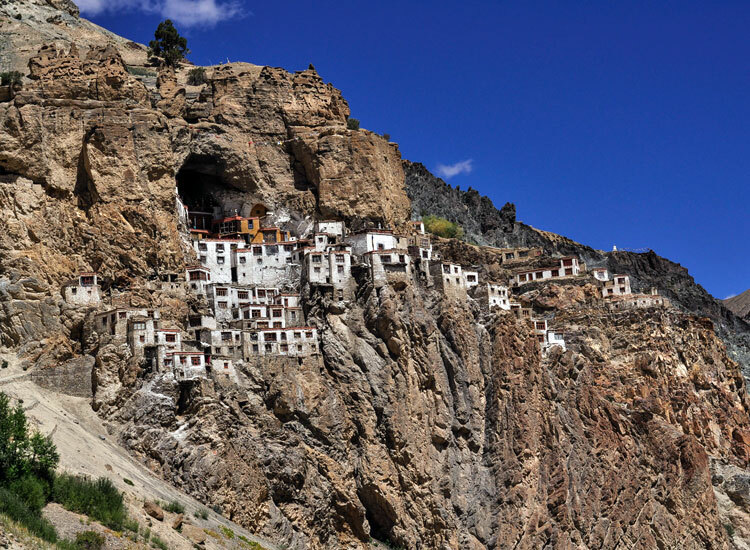 The Phugtal monastery also provides stay facility for tourist as like some other monasteries of Ladakh. The experience will be mind blowing of staying at Monasteries of Ladakh. Marvel at breathtaking beauty. Perform prayers and rituals. The 14 inhabiting monks are always ready to share their wisdom with you. Let’s make stay at monastery and learn about the cultural legacy, history and other mysteries of the Buddhism. 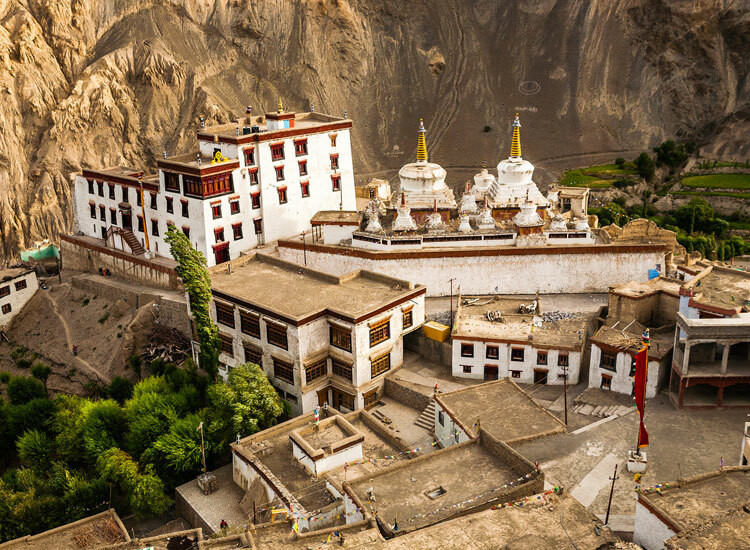 One of the truly worth visiting monasteries in Ladakh, Rangdum Gompa is snuggled in the isolated Zanskar valley. The Gompa stands alone on a hill looking over the tiny village below. It is one of the stops for trekking in the region. Experience pure peace by camping at the monastery. The monastery is quite a small one with 40 monks and few cattle but they are willing to share their stock with visitors. Life at monastery is slow and peaceful. The monks are very friendly and ready for interesting conversations. They share their knowledge Tibetan Buddhism while spending time in the boundaries. You can help in the chores, go exploring or indulge in games with the village folk. The amiable people open their hearts and houses for visitors. 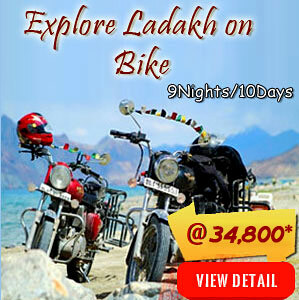 Ladakh Travel Packages You Might Like to Book! 23 comments on "5 Spectacular Monasteries in Ladakh Where You Can Stay and Unwind!" 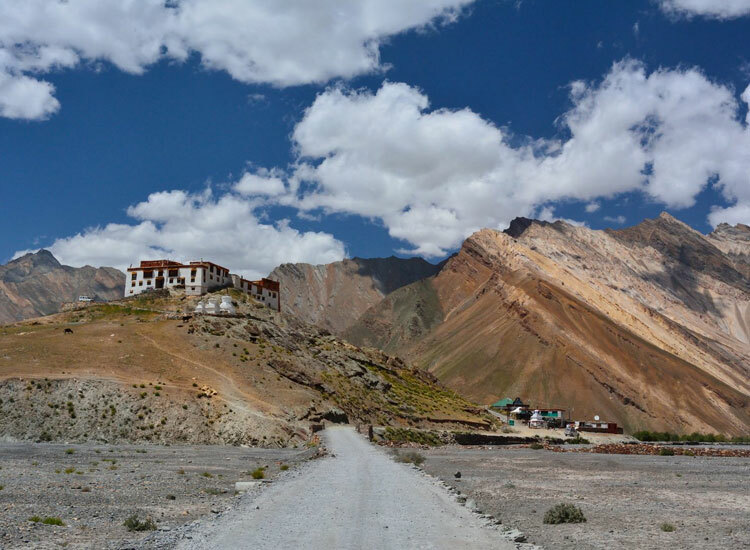 You do not need to book your stay in advance in the monasteries in Ladakh. Most of them accommodate guests on request. You can stop by the monastery in their operational hours and you will be accommodated. Many of the monasteries do not accommodate women but you will get needed help to book a stay in a homestay or hotel. You are welcome Shilpy. For all needful information for your Ladakh trip, do follow us. Hey…. can you suggest a good time visit.. i would prefer peak winter season…. but would like to see some local festival time too….. But any chance to get the number of any monestry or monk there ? I want to understand Buddhism and any clue sir that how much they charged of perday ? Thanks for following our blog. Happy to hear that you want to understand Buddhism. My suggestion is to personally visit the monastery and speak to the monks. Most monasteries are highly religious places and do not have much to with the modern world. You can contact Leh Tourism Reception Centre, Ph: 0198-2252297 and Helpline:1-800-103-1060 for all other information. Thank you for your kind words. You can follow our blog for all information about Ladakh. Hi Deb, if my father would like to spend a month in the company of the monks in a monastery, do you think it would be possible? My father is nearly 73 and a simple person. Though i have not checked with him about his opinion, I think this would bring him a lot of peace and hence i wished to enquire. Kindly advise. I absolutely agree that the company of monks in a monastery is what your father would enjoy, but Ladakh can be quite challenging. As your father is 73, he might find the climatic conditions of Ladakh quite difficult to adjust to. If your father is fit enough and you can manage comfortable accommodations, only then it is advisable. In which languages the monks ar able to communicate with ? please answer. I know English and Hindi only. The monks there not fluent in any particular language, except for their local language, which in this case, is Ladakhi. They are able to communicate in broken English and Hindi, besides being able to fully understand them. So, don’t worry as far as communication with the monks is concerned. I will be traveling with a small group to Leh, and after 4 days of visiting, I wish to stay at a monastery for another 8 or 10 days. Being a woman, which monastery will open the doors for me? I want to be close to tibetan budhism, chants and silence. Would you reccomend any special trekking for me during those days also? Thank you for reaching out to us. About your enquiry; there are very few monasteries in Ladakh that allows women to reside in the premises. Nyerma Nunnery, near Thiksey Monastery offers guest house rooms to women. Also, Chulichan Nunnery below Rizong Monastery offer accommodations for women. You can stay there and enjoy the serenity, Buddhist traditions, chants and the lifestyle of the nuns. If you want to spend 8-10 days there, I would advise to meditate, learn all about traditions and the lifestyle. 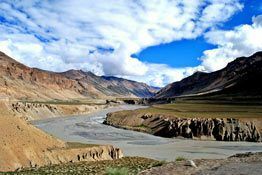 You can embark on trekking to the neighboring villages, where you can experience the delightful local life of Ladakhis. I, Archana ( woman 35 years) plan to go to Leh in august 2018 for a month for a volunteer program. I would like to stay in a monastery for 10 days once my program ends on 31st August 2018. Do monasteries provide courses on meditation? can i stay and take a meditation course there? Thank you for reaching out to us. About your enquiry; there are very few monasteries in Ladakh that provide meditation courses but they do not allow women to stay on the premises. In Leh City, at the Mahabodhi Centre you have a number of meditation courses which you can undertake staying at the hotels or homestays in Leh City. If you want to stay at a Buddhist centre, then Nyerma Nunnery, near Thiksey Monastery offers guest house rooms to women. Also, Chulichan Nunnery below Rizong Monastery offer accommodations for women. Hey, i haven’t been to Leh/Ladakh before, but i am considering to go there in June for at least a month. Would any monastery will be willing to give me a room for this long? Also my purpose is to meditate and be in peace. How much will it cost? Also what kind of food does the monastery offer? Are tourist allowed to follow their own meditation techniques? Thanks in advance. We(myself & wife) intend to go to Leh in July for 5-6 days & then stay in Hemis monastery for peace,meditation for may be 2 to 7 days as it suits both mutually. we can cook our own food & help them in some work also. We can pay them as per their rules & will need a comfortable bed & blankets. If they indicate we can bring also or pay if provided locally. Pls advise what can be possible.